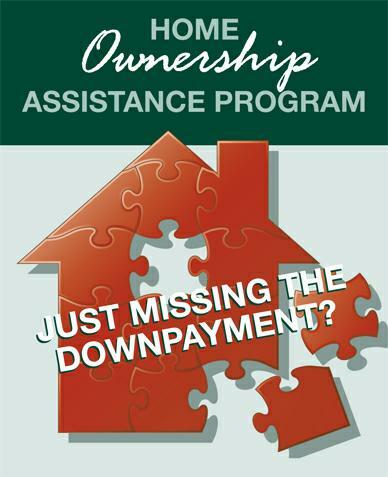 CHDAP- Down payment assistance program: purchase a home with a 1/2 Percent Down! CHDAP (California Housing Down payment Assistance Program)- a down payment assistance program for California home buyers is a deal that sounds too good to be true. CHDAP is offering to help with the down payment of your home. CHDAP is a loan provided by the state of the California to aid first time homebuyers in the purchase of a home. CHDAP provides a home buyer a second mortgage up to 3% of the purchase price that can be used towards the down payment. Currently, the interest rate on the CHDAP loan is 3.25%, and a buyer can borrower up to 3% of the purchase price. These funds can be used towards the down payment and/or closing costs. The CHDAP loan is a silent 2nd and unlike a traditional mortgage, does not require a monthly payment. No payments are required on your CHDAP loan until you sell or refinance your home. The CHDAP loan does accrue simple interest until it’s paid off. When using CHDAP you will still need to qualify for a first mortgage since CHDAP only provides a maximum of 3% in assistance. However, using an FHA loan which only requires only 3.5% down, in conjunction with the CHDAP 2nd you can purchase a home with as little as ½%. CHDAP is available in all counties of California, but certain qualifications do apply. CHDAP is made available to first time homebuyers purchasing their primary residence. (If you have not owned a home in the last 3 years, you are considered a first time homebuyer.) There are exceptions to the first time home buyer requirement, namely if you are a qualified veteran or if you are purchasing a home in a targeted area. Homebuyers must meet minimum credit and income requirement. A minimum 640 FICO score is required, and a borrower’s income cannot exceed moderate income limits established for each county. In addition, the purchase price of the home cannot exceed the purchase price limits set in each county by CHDAP. (For further information on income and sales price limits, contact your BankerBroker Massey K. 949-244-1880. The borrower must contribute the greater of $1,000 or 1% of the sales price from their own funds. However, other approved down payment assistance loans or grants in conjunction with CHDAP. Like many government sponsored assistance programs, the borrower is required to complete homebuyer education counseling and obtain a certificate of completion through an eligible homebuyer counseling organization prior to the funding of the CHDAP loan. In addition to the above mentioned guidelines/restrictions, CHDAP requires the home be a single family, 1-unit residence. Condominiums are required to meet the guidelines of the first mortgage. Manufactured housing, leaseholds, land trusts and Co-ops are not permitted. There is a five acre maximum on all property sizes. What is the interest rate on the First Mortgage? Interest rates will vary depending on your financial circumstances, lender fees, and other factors. Interest rates can also change daily. We recommend that you call us to receive an accurate rate quote for this program. CalHFA which offers the CHDAP loan is not a direct lender, the CHDAP loan is offered through private loan officers who have been approved & trained by CalHFA. These loan officers can help you find out more about CalHFA’s programs and guide you through the home buying process. If you would like more information about California down payment assistance program- CHDAP(California Housing Down Payment Assistance Program), please give us a call or apply online today!